Democracy’s issues are going to be a non-stop discussion field in the European future with intensive attention from social science and politics. The more states are in the EU-block, the more specific and national-type-democratic issues they will be. Recent parliamentary elections in Hungary (April 2018) have made the nationalistic trends in modern democracy a common place. Marine Le Pen in France, Geert Wilders in Holland, nationalistic AfD in Germany, joined by right-wing movements in Poland and Denmark, to name a few are good examples for taking “democratic divisions” in Europe seriously. Hence, the interest to any new study on European democratic issues. The author, Richard Youngs*) is an experienced and eloquent author; he is engaged in two positions: as a senior fellow in the Democracy and Rule of Law Program, based at Carnegie Europe (since 2013, where he works on EU foreign policy and on issues of international democracy), and as a professor at the Department for Politics and International Studies at the University of Warwick. Prof. Richard Youngs joined PAIS in September 2004 on a part-time basis. *) Youngs, Richard. New directions for the EU: Europe Reset. - L.B.Tauris & Co. Ltd Publ., London-New York, 2018. -242 pp. ISBN: 978 1 78831 0574. The author has chosen three main issues in “new directions for the EU”: a) democratic problems and citizens’ greater role in the EU’s decision-making (almost half of the boor); b) defence, and c) security issues. As an expert in democratic issues, the author transposes “democratic ligitimisation” into the EU’s political economy. Extensive notes and bibliography make the book a perfect reference on the sources of present writings on European issues. Some introductory remark concerning the so-called “miraculous EU”: most writers are slightly forgetting that the "EU" is both the set of institutions created to manage the common European affairs and numerous independent member states participating in the so-called "European projects". These states are members of the UN, NATO and other international organisations. However, membership in the EU requires from the states involved (generally through the accessions treaties) a special kind of “participations” with the specific EU legal system (of its own kind), internal market, common commercial policy and customs union, single currency, etc. This participation’s process is commonly called European integration (rather than cooperation), for which the Communities and lately the Union have been established. Hence, the member states are –to put it mildly the so-called primary “actors”, which are taking major part in European integration (the states) with specific ties “uniting” them by the Treaties towards “ever closer Union”. The so-called societies, nations, NGOs, etc. are the secondary “actors” in European integration subject to national political and economic policies and models of development. If one talks about the EU crisis, then it’s about the way states participate in the integration process; the latter is defined in the treaties which have been approved by the states! The rest is up to the states as being almost the sovereign “actors” in European integration (besides the supremacy of the Union’s laws). Thus, the states are actually the essence of all the imaginable "crisis issues" concerning European Union. An alternative model of the EU’s integration in the author’s view is to stay on 3 pillars: democratic, flexible and secure Europe (p. 185). Another Youngs’ idea (a sort of wishful thinking) is that “the EU must be about states and societies governing together, but not in uniformity” (p.186). The author is suggesting a completely new “union” combining both states and societies! Really “an innovation” in the EU’s political science as well as in the EU integration; so far there has been a mixture of two general trends (or EU “mottos”) embodied in the Treaties: a) “united in diversity” and b) “ever closer union among the peoples of Europe”. Are “peoples” in plural equal to “societies”? I doubt it, as statehood appears in two forms: from a historic development of a nation, or from external forces (as for example for the three Baltic States a century ago). 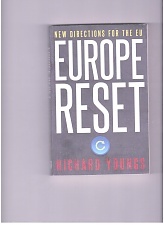 The book’s title sends the reader a clear message: EU shall be “reset”, i.e. plainly said the Union shall “start again” and/or make something completely new (at least with a radical shift). Within the “resetting” items the author has chosen three: democratic issues, internal management (“flexible Europe”) and security. Youngs' idea is that European future is in the citizens' hands (nobody doubts); therefore, one of the basic principles in the EU integration is subsidiarity (though alongside proportionality; in the EU’s Protocol nr.2 they are dealt together). However, there is an additional and much more important conferral principle, which is supposed to govern the limits of the EU’s institutional competences. Subsidiarity and proportionality follow the conferral procedures and -to a certain degree- specify “the use” of EU’s competences. Competences not conferred upon the Union in the Treaties remain with the member states. (art.5, p.2, TEU). Thus, the democracy issues are exactly those of the solely member states’ competences. Instead, the author suggests something quite interesting: “agreement and innovation… at this level of structural guidance” (p. 183). This what conferral is about: the member states’ leaders decide what is vital and important for the “common European actions”. Political elites in Europe, instigated by Brexit (and the author is part of the British education elites) are supposed to safeguard the Brexit process; it seems that they are almost forced from all elitists’ sides to rethink the EU's "purpose and methods". Author's reform recipe for the EU's survival deals with broader democracy and citizens' activism. That brings the author to the “worrying idea” of what will happen with the EU without “democratic reforms”. The EU aims are easy to find: suffice it to look into the Treaties’ Preamble, e.g. making “further steps… in order to advance European integration”. Among “the EU general aims”, there is one of historic importance, i.e. “ending of the division of the European continent and the need to create firm bases for the construction of the future Europe”, which gives the member states more room for political and economic maneuvering, on one side and make them committed to common efforts. The basics for integration are in the Treaties as well: “The Union shall establish an internal market. It shall work for the sustainable development of Europe based on balanced economic growth and price stability, a highly competitive social market economy, aiming at full employment and social progress, and a high level of protection and improvement of the quality of the environment. It shall promote scientific and technological advance” (art.3, p.3 TEU). The member states agreed in the Treaties to “strengthen and converge their economies by establishing an economic and monetary union including… a single and stable currency”. To achieve this, the states (not societies!) were determined “to promote economic and social progress… taking into account the principle of sustainable development within the context of the accomplishment of the internal market and of reinforced cohesion and environmental protection, and to implement policies ensuring that advances in economic integration are accompanied by parallel progress in other fields”. This progress is to be reached, among other things, through the division of competences among the EU institutions and the member states: exclusive, shared and supporting. This is how the “development competences” are divided in Europe: member states vs. EU institutions; “societies” are in the member states and it is there that they are to be included as part of the “progress”! In this sense the Preamble helps too: the member states “desired” to “deepen the solidarity between their peoples while respecting their history, their culture and their traditions”. There are some “answers” in the Treaties concerning the EU’s “general efficiency”: the member states are “resolved to continue the process of creating an ever closer union among the peoples of Europe, in which decisions are taken as closely as possible to the citizen in accordance with the principle of subsidiarity”. Another important issue in “efficiency” is that (under the principle of conferral too) the Union shall act only within the limits of the competences conferred upon it by the member states in the Treaties to attain the objectives set out therein. Several points in Preamble include democracy’s issues, e.g. member states’ “attachment to the principles of liberty, democracy and respect for human rights and fundamental freedoms and of the rule of law” as well as inspiration to develop “universal values of the inviolable and inalienable rights of the human person, freedom, democracy, equality and the rule of law”. All references above are to Consolidated Treaty’s version at: Official Journal of the European Union, C 83/13, 30.3.2010. However, there are no any favorite options in the authors’ views: as all Commission’s point are lacking a pivotal idea, i.e. democratic deficit. Probably, the Treaties can help in “activating” growth perspectives: the EU states shall coordinate their economic and employment policies within arrangements which the Union shall have competence to provide (art. 2, point 3 TFEU). Another Treaty article makes it clear that “in certain areas and under the conditions laid down in the Treaties, the Union shall have exclusive, shared competence as well as carrying out actions to support, coordinate or supplement the actions of the member states”. (Above references are to art. 3,4 and 5 TFEU). · Creating a mandatory register for organisations and individuals lobbying the Commission, Parliament and Council. · Working with the European Parliament and the Council to remove unnecessary red tape at both European and national level. · Finding ways to deepen cooperation between national parliaments and the Commission. · Reviewing the laws that oblige the Commission to authorise genetically modified organisms (GMOs), even when a majority of national governments is against this. · Increasing the number of women in management and other administrative positions in the Commission. Democracy is one of the EU’s fundamental values: to ensure the functioning of a representative democracy on the European level, the treaties determine that the citizens of the European Union are directly represented in the European Parliament. Thus, in September 2017, the Commission has come with a proposal for a Regulation on the statute and funding of European political parties and European political foundations. The idea of “enlarging national political process into the European level” is underlined in art. 10 TEU: “political parties at European level contribute to forming European political awareness and to expressing the will of citizens of the Union". The Charter of Fundamental Rights of the European Union expresses the same principle (art. 12, point 2). According to Regulation 1141/2014 on rules for European political parties, the European Parliament’s services are in charge of administering the Regulation and control any inappropriate use of funding for funding political parties from the EU funds. Author’s fair and correct description of the present EU’s security issues, I’d add new information on defence cooperation (due to its less importance, I’d put it in italics). It is well worth citing recent 25 states’ declaration (out of current EU-28 members) on security cooperation. These states joining the Permanent Structured Cooperation (PESCO) have reached a “great deal of consensus” concerning the new EU defense union to address immediate threats without having to rely on NATO for all of the EU's defense needs. Malta still mulling over it, Denmark has opted out for the time being, and the UK is expected to reject the proposal, as it is set to leave the EU by 2019. The Commission has been campaigning for PESCO for several years, which is expected to turn to a new military pact on the "European Security and Defence Union”. The EU Foreign Affairs and Security Policy Chief Federica Mogherini welcomed the establishment of PESCO as the dawn of a "new era” and an initiative for "an inclusive framework to facilitate the joint investments and projects…to strengthen the EU ability of a credible security provider for its citizens and globally”. NATO Secretary General Jens Stoltenberg welcomed the launch of PESCO in the face of those fears over US commitment to the transatlantic defense alliance, saying that PESCO will "strengthen the European pillar within NATO" adding that it will be "good for NATO" as well. Together with the Coordinated Annual Review on Defence (CARD), the European Defence Fund and the Military Planning and Conduct Capability (MPCC) the new agreement forms a new comprehensive defence package for the EU; about four-fifths of PESCO members are also member states of NATO. PESCO is similar to enhanced -cooperation in other policy areas, in the sense that integration does not require that all EU member states participate. (art. 20 TEU and art. 326 TFEU). The democratic issues are represented in all spheres of EU’s activities, e.g. even in the multi-annual budget, which became recently a hot topic at the EU states’ leaders informal summit. In the background, there was a sweltering conflict on the use of ‘conditionalities’, whereby payments become contingent on the “misbehavior” of some member states. Some even advocated a new democratic conditionality (to enforce respect for EU values and EU law) adding to the already existing macroeconomic conditionality (to enforce budgetary discipline). The EU budget has changed over time: agriculture expenditures are gradually decreasing while new priorities like research and innovation are increasing. This “re-prioritisation” will continue: there already are some signs of consensus that research funding and global competitiveness should, at the very least, be safeguarded in the EU’s long-term budget despite significant pressures on spending. “Financial” or other types of decision-making has some elements of democratic approach, but that has to do more with rationality and general public/national aims which are also “married” with representative principles. Then the issue of borders is central and is raised with particular acuity. 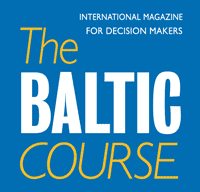 Some EU states feel that their security is threatened on their borders (the Baltic countries by Russia, in particular) and doubt the Union’s ability to protect them, which is leading to more national military spending (in Poland) or a strengthened integration strategy (the Baltic countries with the adoption of the euro, seen as a guarantee of greater solidarity). The question is vital: if Russia undertook an aggressive, expansionist policy against a EU state, what would the Union do? This would be the true test for the borders and European identity. There are some additional positive sides in the book: extensive reference sources on the EU issues covering mostly 2015-16, including notes (pp.199-218) and large bibliography (pp. 219-233). If the book’s author is really worried about democratic deficit in the EU, the attention shall be devoted to some really striking examples. Here is one showing dramatic “democratic discrepancies” in some EU states (e.g. in Latvia) between the citizens and nationals. Several thousand “minorities” in Latvia (counted in tens of thousands, mostly of Russian origin) are having non-citizens’ passes, or aliens passports. Some explanations are needed: according to the English dictionary, “alien” is a “foreigner”, i.e. foreign-born resident, who has not been naturalized (Reference: The Merriam-Webster Dictionary, p.35). However, Latvian “aliens” have appeared to be those that lived for decades in Latvia and even born there. But that is not enough for having a “real” pass for these nationals! In Latvian case, citizens’ pass (pilsonis, in Latvian) can be issues only to “recongnised” people by the authorities. Nationality (tautiba, in Latvian) other than that of a recognised “Latvian” citizen is inserted on a special applicant’s request with a stamped note on a separate pass’ page, e.g. 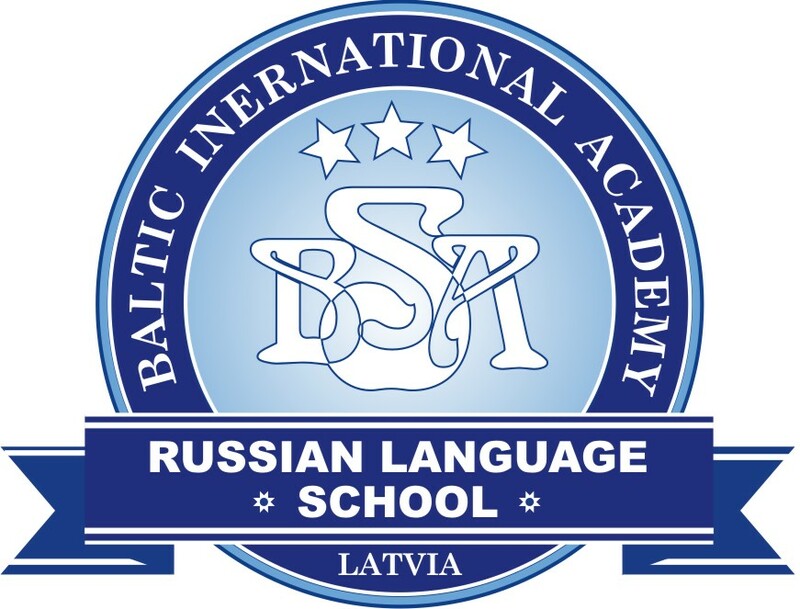 nationality Russian (Tautiba – krievs for a men and krieviete for a woman). Without any corresponding translation in generally required two additional languages, English and French (I just wonder, if any border control officer would know Latvian in order to understand what nationality is the person that holds Latvian aliens pass?). The EU Treaty is quite clear on the citizen-nationality dichotomy: “In all its activities, the Union shall observe the principle of the equality of its citizens, who shall receive equal attention from its institutions, bodies, offices and agencies. Every national of a member state (according to some of the EU’s passports there is no indication as to any citizenship –only nationality) shall be a citizen of the Union” (art.9, TEU). But these clearly damaging democracy issues are not of any EU’s concern; it’s strictly national affairs.